Chris Foster, Matt Stafford, Scott Wilson, Sunil John and Francisco Carvalho take on regional leadership for world's third largest PR firm, alongside new roles for other executives and one high-level exit. NEW YORK — Newly-merged agency Burson Cohn & Wolfe (BCW) has unveiled its regional leadership team, naming Chris Foster, Scott Wilson and Matt Stafford to lead North America, EMEA and Asia-Pacific, respectively, the Holmes Report can reveal. Foster, formerly worldwide EVP and chief business development officer at Burson-Marsteller, becomes North America president after the departure of B-M USA CEO Mike Fernandez last week following the dramatic reverse takeover of the firm by Cohn & Wolfe. Foster reports to BCW CEO Donna Imperato and will oversee the firm's biggest region, estimated at more than $450m in fee income. Laura Eder, who joined Cohn & Wolfe last year as North America president, takes on a new position as EVP and MD of North America, reporting to Foster. Elsewhere, two of the top regional jobs (Asia-Pacific and Europe/Africa) go to key members of Imperato's leadership team from Cohn & Wolfe, both of whom see their operations expand considerably via the addition of Burson-Marsteller agency assets. Two other regions, meanwhile, (Middle East and LatAm) remain under the oversight of Burson executives. In Asia-Pacific, former Burson-Marsteller Asia-Pacific China MD Matt Stafford takes on the BCW president position after rejoining Cohn & Wolfe in mid-2016 to help stabilize the agency following a period of leadership turbulence. Ironically, Stafford has hired several executives from his former firm to help power C&W's turnaround in the region, helping it grow by 20% last year, thanks to particularly strong performances in China and India. Burson's strength in North Asia will combine with Cohn & Wolfe's presence in Southeast Asia to create what is likely to be a top-five international player in the region. In India, where both possess strong operations, the firms will co-exist separately as Cohn & Wolfe Six Degrees remains on an earn-out for the next two and a half years. 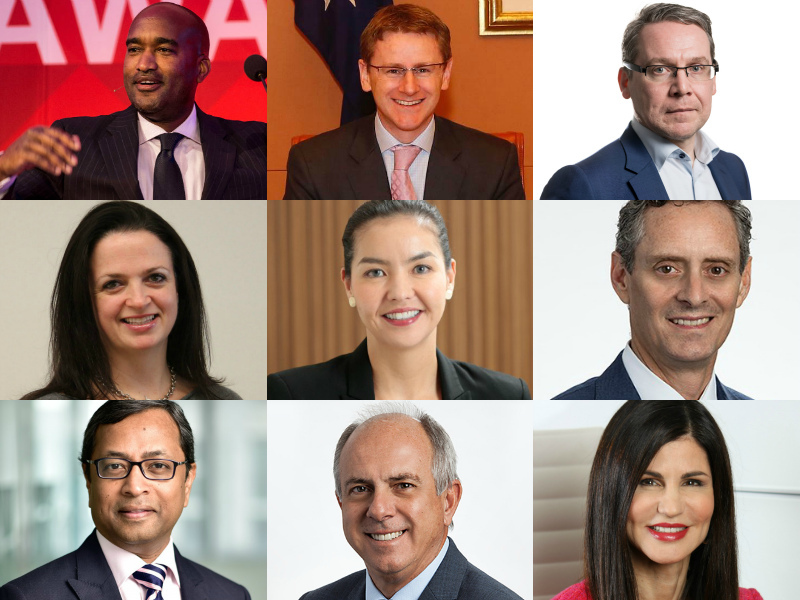 Former Asia-Pacific CEO Margaret Key, promoted in 2015 as the latest in a string of names to attempt to revive Burson-Marsteller's Asia-Pacific fortunes, takes on a new position overseeing Axicom in Asia, in line with Imperato's plans to turn Cohn & Wolfe's technology firm into a global agency brand. Scott Wilson becomes BCW president for Europe and Africa, seven years after joining Cohn & Wolfe to turnaround its UK operation, which now numbers almost 200 people. Burson-Marsteller EMEA CEO Ramiro Prudencio, who only relocated from LatAm last year, shifts into a new position as global head of corporate reputation, reporting directly to Imperato. Both Stafford and Wilson have been afforded considerably leeway to make local market leadership appointments. Many of these decisions will be clear-cut given the relative merits of each agency in different markets, but some (China, for example) are likely to require more attention. In the Middle East and Latin America, Burson-Marsteller executives remain in charge, both reporting directly to Imperato. Asda'a Burson-Marsteller CEO Sunil John takes on the BCW president role, while Francisco Carvalho is named to the same position in LatAm. BCW's EMEA operation will exceed $100m in revenue, thanks in large part to Burson-Marsteller's extensive operations across Continental Europe, the Middle East and Africa, where it typically ranks among the leading agencies in many markets, notably Brussels, Dubai, Johannesburg, Nairobi, Oslo and Paris. "This is a powerful leadership team that will drive integration and growth at Burson Cohn & Wolfe and lead BCW on our mission to become the best integrated communications agency in the world," said Imperato in a statement. "They each have proven track records in leading strong regions, teams and clients, are deeply respected in their markets, and bring the right integrated expertise and mindset to the roles – the mindset needed to complete a seamless merger and continue pushing the boundaries of integrated communications." Imperato's leadership team also includes Burson-Marsteller worldwide president Kevin Bell who has moved to a similar position at BCW. A spokesperson described Bell as "Donna's strategic partner in executing the vision for Burson Cohn & Wolfe." In addition, he's responsible for growing the firm's public affairs offering. The merger is being overseen by an integration committee that is understand to include Imperato, Bell and other C-suite members of the two firms, drawn from such functions as finance and human resources. The Burson-Marsteller and Cohn & Wolfe P&Ls, however, will remain separate in 2018, the Holmes Report understands. A BCW spokesperson declined to comment on the identities of integration committee members. Burson's financial and human resource functions are led by Pat Przybyski and Michele Chase, respectively, while Maury Shapiro and Tom Reno serve as Cohn & Wolfe CFO and COO, respectively. Neither was comment on forthcoming on BCW's global practice or local market leadership, nor on global client oversight or functional roles. Foster, a Burson-Marsteller boomerang employee, returned to the WPP firm in 2015 as global EVP with a focus on global strategic growth initiatives. Earlier in his career, Foster served two stints with Burson-Marsteller. From 2007 to 2010, he was a managing director in, and subsequently chair of, the firm’s US healthcare practice, and from 1998 to 2001, he was a director in the healthcare practice, developing a multicultural and ethnic marketing capability. In between those tours, Foster was an SVP with management consulting giant Booz Allen Hamilton in Washington, DC, managing teams across the firm’s global civil health, strategic communications and civil commercial business units. Fernandez, meanwhile, became US CEO of Burson-Marsteller last year during a leadership reshuffle. He joined Burson-Marsteller in 2016 after a six-year run in charge of Cargill's global communications and corporate affairs. Find all of our Burson Cohn & Wolfe coverage here, including our Premium longread: 11 Talking Points From Cohn & Wolfe's Takeover Of Burson-Marsteller. Additional reporting by Aarti Shah and Diana Marszalek.